There is a synergistic trinity of powertools available in the latest Release 7 update for Civil 3D 2019.1. We should consider that Civil 3D Project Templates, Reference Templates, and Project Placeholders are a powerful and productive triad. If we use them together, we get more project productivity than the sum of the parts. To make them work together still takes some planning and doing. This is a Civil 3D skills with thrills thang. These days I regularly field questions from folks who want to know if we supply Reference Template support in the Framework for Civil 3D. People see the potential benefits in the tools and want to make them work for them. There are certainly new and usable Reference Template examples supplied in the Release 7 for Civil 3D 2019.1 product build. See the video below. No. We don’t include them in the Templates Only trial. Needless to say, your Civil 3D project structure and your shared Civil 3D resource location for the template resources must work together. Reference Templates in Civil 3D still employ explicit paths and file locations. We all know there is nothing new about that Relative to Where limitation in Civil 3D. Very flexible project structures can make this sort of thing a bit dicier. Autodesk could fix it with the Profile Template search path setting and/or an interface tweak to the 2018+ Reference Template tools. Don’t hold your breath. The video above is part a post series. All the videos are collected here. 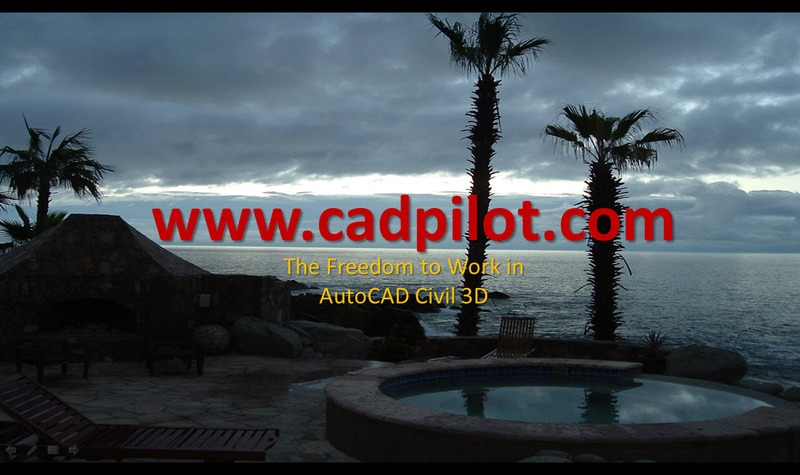 Civil 3D methods and tools to strip man-hours from project work. Do the people that do the work get paid to improve things? This is an unspoken centerpoint in that series of posts. Every project ends and begins a new better project or not.